Question: What classic Hasbro toy acquired a trap door for spare parts storage in 1983? Last Question: On a February 11, 1980 episode, what real life tragedy (which occurred 2 months earlier) did WKRP in Cincinnati deal with? As part of The Who’s first U.S. tour in three years, the band was playing at Riverfront Coliseum in Cincinnati. The concert was using “festival seating”, which means the seats were available on a first-come, first-served basis. A lot of fans showed up early because of this. When the crowds waiting outside in bitter cold conditions heard the band performing a late sound check, they thought that the concert was beginning and tried to rush into the doors that which were still closed. The people that were towards the front of the line were trampled as those pushing from behind didn’t know the doors were still closed. Only a few doors were in operation that night, and there are reports that management did not open more doors due to union restrictions and the concern of people sneaking past the ticket turnstiles. As a result, 11 people died, and several dozen others were injured. The band did not know about the incident until after their performance. Festival seating was banned in Cincinnati for 25 years, with minor exceptions. As a result, the sitcom WKRP In Cincinnati (which was in its second season), aired an episode about the incident on February 11, 1980 called “In Concert”. Steven Kampmann, one of the writers, felt that as a show about rock radio in Cincinnati they couldn’t avoid dealing with the event, so he came up with this story. The first part of this episode takes place before that concert for which they helped to promote; the second act takes place the day after, and presents the characters’ reactions to the tragedy. Question: On a February 11, 1980 episode, what real life tragedy (which occurred 2 months earlier) did WKRP in Cincinnati deal with? Last Question: In honor of Goofy’s 80th birthday, can you name the person who has been the official voice of Goofy since 1987’s Disney’s Doggone Valentine? Pinto Colvig provided the original voice. Goofy would become part of the trio of Mickey Mouse and Donald Duck. They starred in several cartoon shorts together. Then in 1939, the Goofy “How To..” series began. In the cartoons Goofy would demonstrate, clumsily but always determined and never frustrated, how to do everything from snow ski, to sleeping, to football, to riding a horse. The Goofy How to… cartoons worked so well they that they became a staple format, and are still used in current Goofy shorts, the most recent being the How to Hook Up Your Home Theater, released theatrically in 2007. A lot of us remember these cartoons, not from their original released, but from seeing them when The Disney Channel became available on cable. 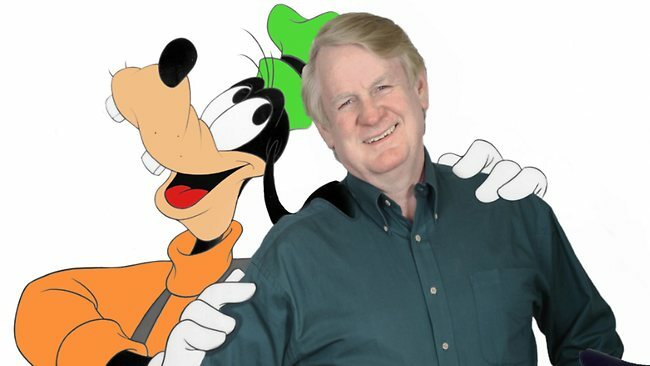 After Pinto Colvig died, Goofy was voiced with different voice actors until Bill Farmer became the official voice. Bill Farmer had been a stand-up comedian in Dallas. A Dallas commercial agent suggested that Farmer, given his talent for voices, should move to California and try his luck there. Four months after his moving out to Hollywood, his agent asked him if he could do any Disney characters. His very first animated character audition was for Goofy. He won the job, inheriting the voice of Goofy (as well as Pluto and Horace Horsecollar). In addition to the Disney characters, among several other characters, Bill Farmer voiced Yosemite Sam, Sylvester, and Foghorn Leghorn in the 1996 Looney Tunes/Michael Jordan movie Space Jam. Question: In honor of Goofy’s 80th birthday, can you name the person who has been the official voice of Goofy since 1987’s Disney’s Doggone Valentine? Last Question: Representing the “Finicky Party”, who ran for president for the first time in 1988? Wilma Cosmé, a.k.a. Safire, was born in San Juan Puerto Rico and grew up in East Harlem, New York. She was a Latin freestyle artist. She had songs early in her career that her hits among freestyle-music and dance-music fans, such as “Don’t Break My Heart” (1986) and “Let Me be the One” (1987). Then she released her self-titled debut in 1988, and almost had a top-40 hit with “Boy, I’ve Been Told,” which peaked at #48. Safire went on a hiatus, then came back with a Spanish-language album, titled Atrevida. Then she went on another hiatus until 2001. Her most recent single, “Exotique,” was released online on May 6, 2009. In 2010, SaFire announced on urbanlatinoradio.com that she is currently working on a new Spanish-language pop album. New music set to be release sometime this year. Question: Representing the “Finicky Party”, who ran for president for the first time in 1988? Last Question: On Empty Nest, what ’70s child star played Officer Barbara Weston? 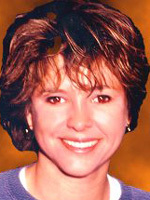 Kristy McNichol was one of the biggest teen stars of the late ’70s when she was playing Leticia “Buddy” Lawrence on the Aaron Spelling drama series Family (1976-1980). She earned two Emmy Awards for Best Supporting Actress in a Dramatic Series (1977 and 1979) for the show. During this time, she and her brother Jimmy made their own foray into music, recording an album, Kristy & Jimmy McNichol. The album included the single “He’s So Fine” (a cover of The Chiffons’ 1963 hit), which peaked at #70 on the Billboard chart. Even though I saw the movie in the theater, it flopped. I was always looking forward to seeing McNichol in more movies, but her roles were becoming more few-and-far-between. There were rumors that Kristy’s behavior was becoming problematic, and that she was developing a drug problem. It turns out that she did not have a drug problem after all. She was suffering from bipolar disorder. However in 1988, she landed the role of Barbara Weston on The Golden Girls’ spinoff, Empty Nest. She starred along side Soap vets Richard Mulligan and Dinah Manoff. Kristy left the series in 1992 when she was diagnosed with bipolar disorder. She would return for the show’s final episode in 1995, her last screen appearance as an actress to date. Since retiring from the screen, she has taught acting at a private school in Los Angeles and devoted much of her time to charity work.